The kidneys are a pair of identical organs found at the back of the abdomen. They clean the blood by removing excess fluids and waste products, which are then converted into urine. Kidney tests measure how well the kidneys are functioning; what types of substances are being released into the urine, at what levels and how quickly. Different kidney tests measure different functions of the kidneys. Your healthcare team will advise you as to which kidney tests they will be doing and tell you what you need to do (if anything) to prepare your child for them. Kidney tests can be performed using either blood or urine samples -none of the tests hurt and there are no side-effects. A creatinine clearance test helps determine whether the kidneys are functioning normally. Specifically, the creatinine-clearance test gauges the rate at which a waste, creatinine, is “cleared” from the blood by the kidneys. Creatinine is produced from the metabolism of protein as when muscles burn energy. 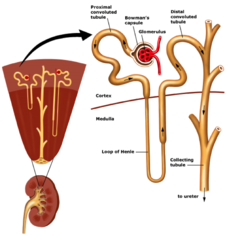 Most creatinine is then filtered out of the blood by the kidneys and excreted in urine. A urine creatinine clearance test requires that urine is collected in a container for 12 to 24 hours. Your doctor may ask you to collect urine at home each time your child goes to the bathroom; it is important that the urine sample is stored in a dark bottle or covered with a dark cloth in the refrigerator or on ice until you take it to the hospital for testing. 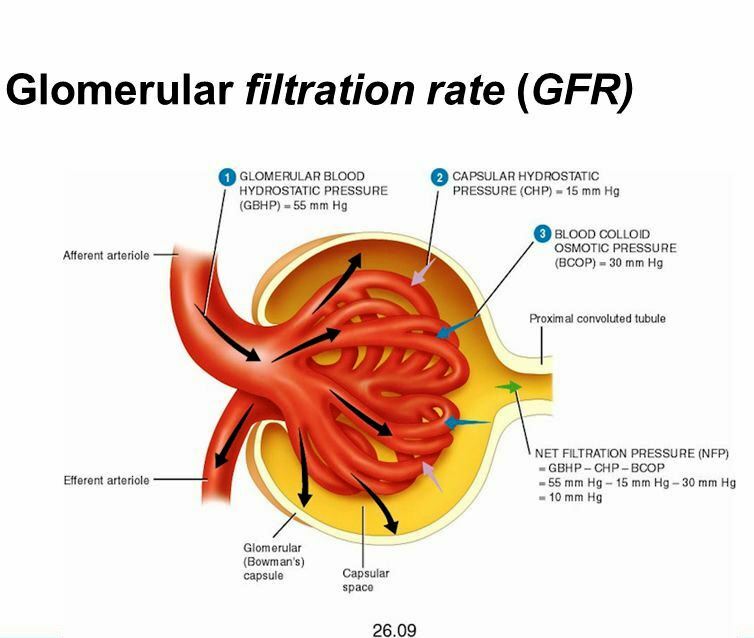 The glomerular filtration rate test shows how well the kidneys are working. Specifically, it estimates how much blood passes through the glomeruli each minute. Glomeruli are the tiny filters in the kidneys that filter waste from the blood. A radiopharmaceutical (Technetium-99m DTPA), known as a “tracer” is injected into a vein. A 10 second picture of the injection site will be obtained, then blood samples and/or imaging will be taken at intervals over a period of hours to assess how quickly the radioactive dye is being excreted from the body. Local anaesthetic cream may be used before the injection and the blood tests to make them less painful. The radiation dose is very low and not harmful. No preparation is necessary for the test, but keep in mind that GFR takes up to five hours, so plan your day accordingly and it may be a good idea to take your child’s favourite book, toy, or comfort object with to use during the in-between waiting times. The radiopharmaceutical contains a very tiny amount of radioactive molecules, but there are no known adverse effects from the low doses employed. Renal function tests measure the amounts of certain substances released into the blood or urine by the kidneys; a higher or lower than normal amount of a substance can be a sign that the kidneys are not working as they should. These tests are performed on blood or urine samples and do not have any side effects. A urinalysis test examines and evaluates the appearance, concentration and content of urine; it counts the number of white blood cells and red blood cells in the urine and also tests for protein, bacteria and sugar in the urine. 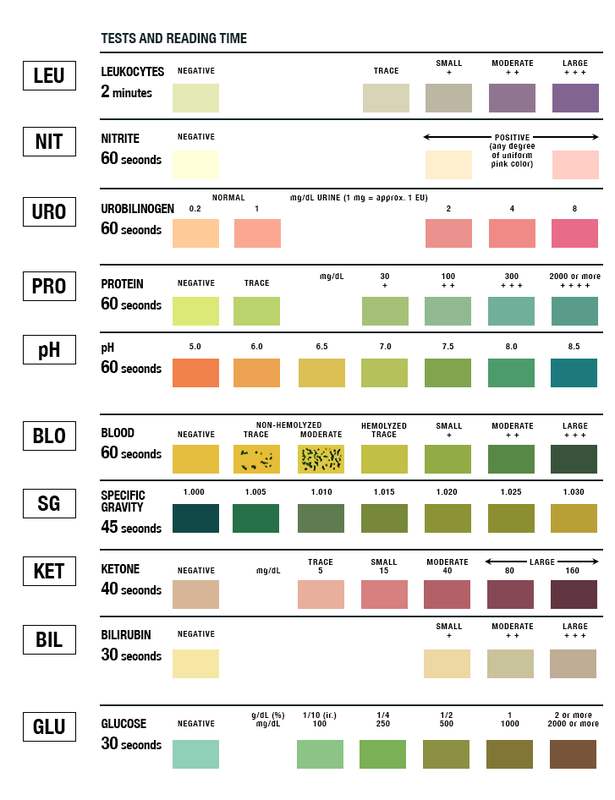 Urinalysis is used as a screening and/or diagnostic tool because it can help detect substances or cellular material in the urine associated with different metabolic and kidney disorders. A small amount of urine is collected in a cup and sent to the laboratory to be tested. This is a painless test and does not have any side effects.